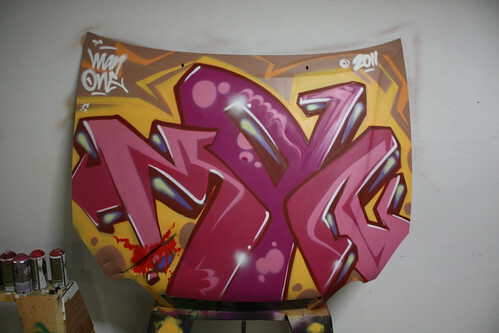 Timelapse video of a BMW car hood I painted for my URBNLUX exhibition in October 2011 at Crewest Gallery. 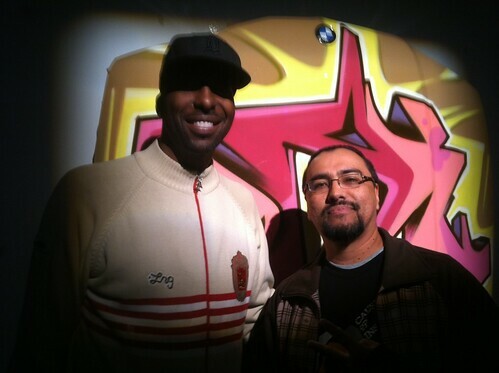 Here's a pic of me with basketball great John Salley in front of my piece. 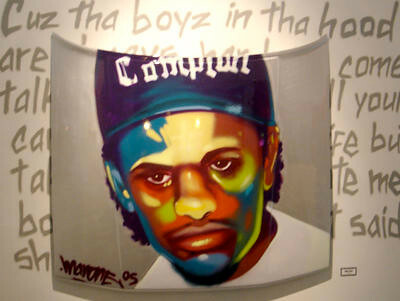 Painting on car hoods has become a favorite canvas for me over the past few years. 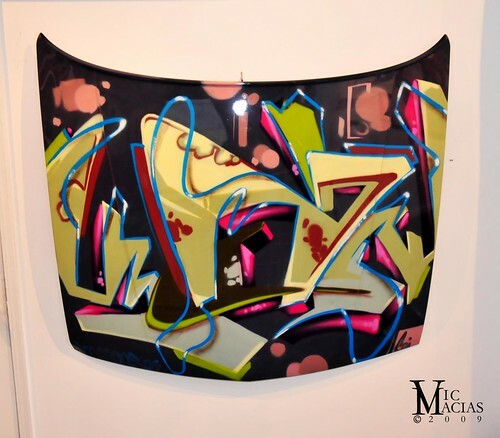 I like the smooth and glossy finish when I'm done clear coating them.